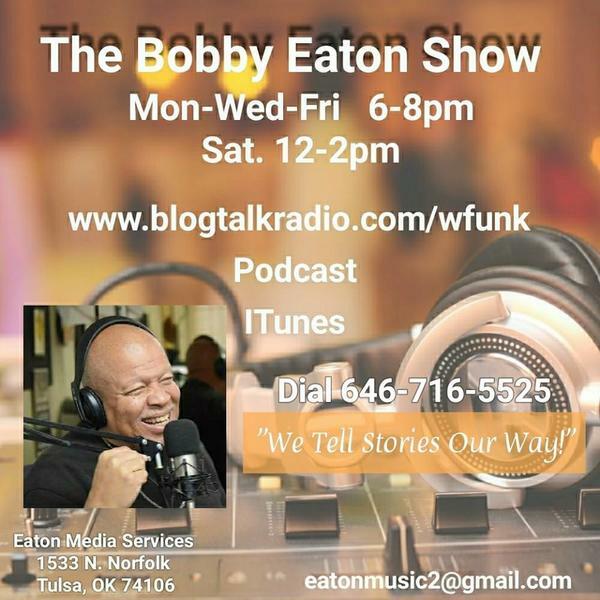 The Bobby Eaton Show/The Juice Radio Show "We Tell Our Stories Our Way"
Entertainment,Community Empowerment,National and Local Celebrity Talk,News,Music,Civil Rights,Relationships,Politics and much more. Juice Radio Show Fundraiser with DJ Ramal the Home Town Heat at Pine and Peoria Tulsa Oklahoma. Come out and meet the Juice!!! Kojo Asamoa-Caesar on The Juice Radio Show with Ramal the Hometown Heat. Big Surprise!!!! An Interview with Quraysh Ali Lansana, New Book review and more.